DermaSapphire: Does Derma Sapphire Work? DermaSapphire is an anti-aging formulation being offered online through a free trial. It claims to rejuvenate and brighten dull skin tone while lightening areas of hyperpigmentation in the skin. It uses a combination of natural active ingredients like green tea extract and fruit acids. The formulation also uses advanced grape stem cell technology along with AHA’s to work in reducing skin aging signs including wrinkles. The price is of the formula can only be found on the terms and conditions page of the product. It is priced $148 for one month’s supply. The manufacture of DermaSapphire is not stated on the product’s website. For product returns, the address is 1885 Beaver Ridge Circle Suite B in Norcross, Georgia. There is even no company name stated which is quite suspicious. There are complaints from customers regarding the free trial which only lasts around 10 days. Some customers even say they were charged $148 before 10 days from the time they received the product. These are indications that the product is from a deceitful company. DermaSapphire works by using a combination of natural extracts to reduce the appearance of different skin aging signs. It utilizes advanced stem cell technology to diminish wrinkles and age spots while at the same time making the skin healthier and more youthful in appearance. It also utilizes active ingredients that exfoliate the skin in order to rejuvenate it and make it more radiant, smoother and younger-looking. The special formulation also contains antioxidants which help protect the skin from damage due to free radicals and UV rays from the sun. It also nourishes and hydrates the skin to slow down the aging process. Macadamia Nut Oil – Studies indicate that this is rich in palmitoleic acid which is a special kind of fatty acid that is naturally found in the skin. It decreases due to aging which contributes to the development of skin aging signs. It also helps protect the skin from oxidative stress damage which is one of the primary causes of wrinkles. Ginkgo Biloba – It is extracted from the Maidenhair tree and it has been used in traditional medicine for a long time for many purposes. In this case, it improves microcirculation in the skin which helps prevent vascular imperfections. It is also an antioxidant that helps in protecting the skin. Peptides – The specific peptides in the formula are not stated but it is said to trigger changes in the skin at a cellular level. It is for stimulating the growth of new collagen. Fruit Acids – AHA fruit acids work to exfoliate the skin and help in getting rid of dead skin cells. This makes the skin smoother and softer. Green Tea Extract – This is a powerful antioxidant that also offers anti-inflammatory effects. It helps slow down the process of skin aging. Wash your face then dry completely before applying the formula. Spread a thin layer all over your face then massage gently until it is thoroughly absorbed by the skin. Allow the formula to dry completely before applying other products on your skin. Avoid contact with your eyes. Make sure you are not allergic to any of the ingredients before use. 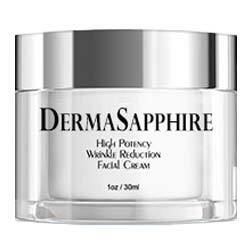 Derma Spphire appears to have a good formulation composed of natural anti-aging active ingredients. However, the main problem is the price of the product which is $148. 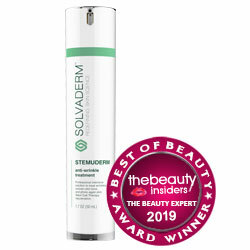 This is more than twice the price of most anti-aging formulations from the top skin care companies. It is still worth trying because there is a free trial available. Just remember to read the terms and conditions carefully to avoid problems.